20 July 2016, at 6:00a.m. Farmers worldwide are facing new environmental challenges. According to Dr Juan Villalba, Associate Professor in the Department of Wildland Resources at Utah State University and editor of ‘Animal Welfare in Extensive Production Systems’, skills learned from raising animals in more extreme environments can play an important role in responding effectively. 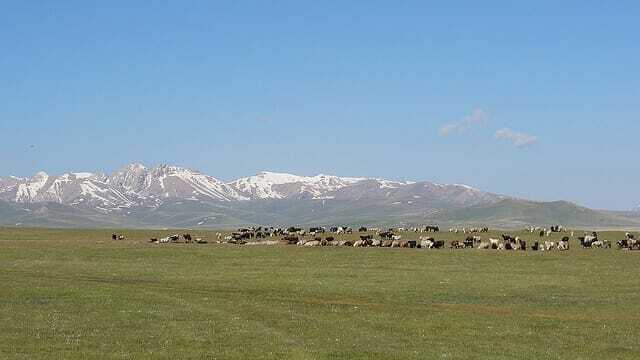 Approximately 50 per cent of the world’s total land surface area is made up of rangelands, complex ecosystems that can teach vital lessons for the future. Ellen Hardy spoke to Dr Villalba to find out more. What is the global significance of animals living in extensive, as opposed to intensive, farming systems? Animals living in extensive systems provide meat, milk, and fibre. Wild ruminants provide recreational opportunities like hunting and viewing, and domestic ruminants represent a fundamental source of power and transportation in many undeveloped countries. In addition, animals living in extensive systems modify the landscapes they inhabit, representing a fundamental force for landscape management and conservation, for example through weed control, revegetation, nutrient cycling and creation of fire breaks. How have modern environmental changes and new trends in animal welfare affected this significance? This is a new field. Improvements in animal welfare will lead to significant improvements in production as well as in the efficiency at which animals modify the landscapes they inhabit, such as weed control, revegetation of landscapes and nutrient cycling. How has new technology affected welfare in extensive farming in recent years? New monitoring methods have the potential to identify production, health and welfare problems more quickly and in a more efficient way, where challenges include thermal stress, water balance, animal distribution in the landscape, toxic plants, predation, health, neonatal mortality and transport. 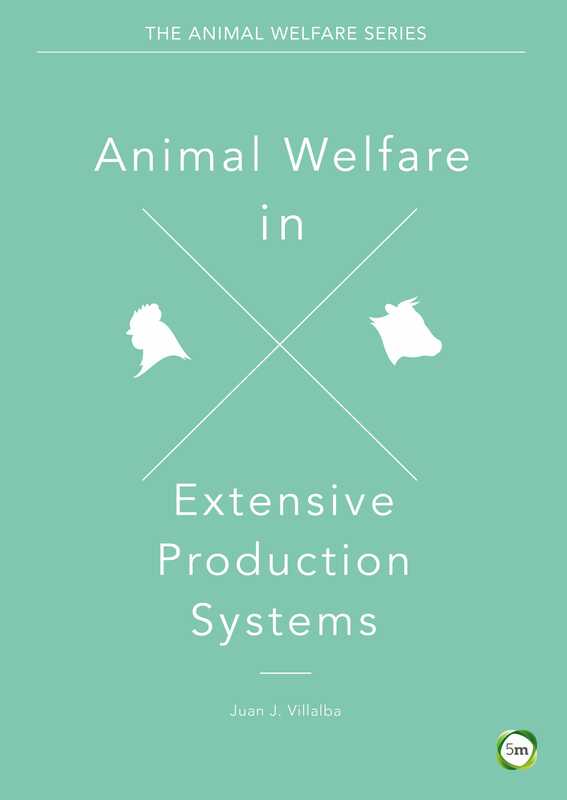 ‘Animal Welfare in Extensive Production Systems’ provides the fundamental principles needed to understand and manage the welfare of animals living in extensive systems. How might learnings from extensive farming inform welfare decisions in more intensive farming systems, and vice versa? Conceptual frameworks used to assess and understand animal welfare in intensive systems can be applied to extensive systems. Thus, all the knowledge gained through the years studying animal welfare in intensive systems is very useful – and a great starting point – for understanding the welfare of animals living in extensive systems. In turn, new paradigms developed for assessing animal welfare in extensive systems may also change some of the approaches and views used to assess welfare in intensive systems. Click here to buy Dr Villalba's new book in the 5m Books shop. For instance, the idea of plant and biochemical diversity assisting in the improvement of animal health and welfare in extensive systems can be applied to intensive systems by providing animals with a variety of feeds and sensorial dimensions. As the global population increases, what is the future for extensive farming? The availability of fossil fuels is predicted to decline dramatically during the first half of the 21st century, and the deficits may not be alleviated by alternative sources of energy. This scenario will create opportunities for communities to benefit from foods produced locally in ways that nurture the health of soil, plants, herbivores, and people. By necessity, food production will not be so dependent on fossils to fuel machinery; fertilisers, pesticides and insecticides to grow and protect plants in monocultures; antibiotics and anthelmintics to maintain the health of herbivores; and nutritional supplements and pharmaceuticals to sustain humans. Rather, we will re-learn what it means to be locally adapted to the landscapes animals inhabit. Thus, the future of extensive farming is bright.